Arch. Genna Aina G. Domingo placed fourth with an 83% rating, while Arch. Ulysses Eduardo B. De Guia Jr. placed sixth with an 82% rating in the architecture boards administered by the Professional Regulation Commission (PRC). This follows the success of Mapúan architects in board examinations in the past year. Mapúa alumni Arch. John Mikhail L. Ubungen and Arch. Mark Angelo G. Vibandor placed fifth and tenth, respectively, in the January 2018 architecture exams , while Mapúa graduate Arch. Enelle Louie H. Marallag ranked tenth in the June 2018 architecture boards. 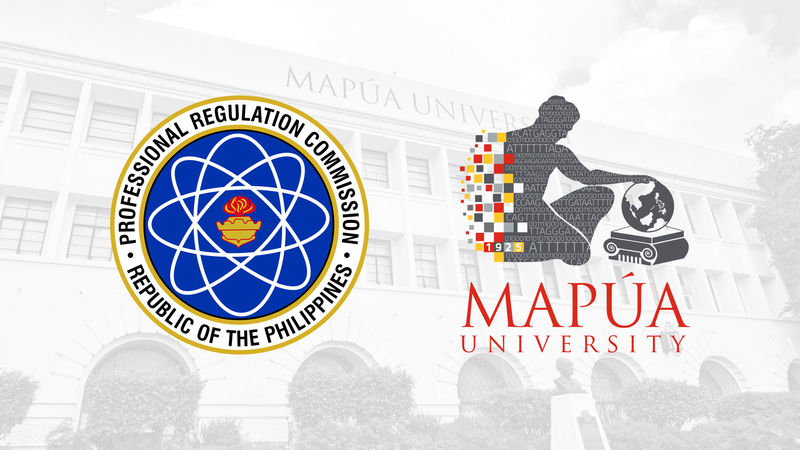 To date, Mapúa has produced 361 topnotchers across 11 of PRC-administered licensure examinations since 2000. Thirty of these numbers are architects. Moreover, the University emerged as the top-performing school in the recent examination. It is the lone school that qualified for the distinction, having 50 or more examinees and recording at least 80% passing percentage. Mapúa posted an 84.31% overall passing rate, 43 passers out of 51 examinees, above the national passing rate of 56.28%. It also recorded a 90.91% passing rate for first-time takers, or 40 passers out of 44 examinees. Established in 1925, Mapúa University is a top-ranking Asian university. It is one of the leading Philippine schools in architecture education, having its BS Architecture program accredited by the Philippine Accreditation of Colleges and Universities Commission on Accreditation (PACUCOA).